As part of our new publication ‘OnCohesion’ read Bob Hindle’s blog which focuses on the counter-terrorism Prevent Strategy in schools and colleges. Schools and colleges provide environments for debate and meeting points and a rising proportion of young people from mixed race backgrounds suggests we have more in common than what makes us different. Is there a real understanding of the ‘causes’ of radicalisation beyond a vulnerability? It is hard to predict who will engage in terrorism, with no causal connection between this and theological persuasion. Schools and colleges have a wider duty to promote good relations amongst pupils. It is this that presents our long-term hope of schools being better equipped to encourage greater inclusivity and tolerance. Greater Manchester’s diversity is its strength and its evolution. Schools and colleges provide environments for debate and meeting points and a rising proportion of young people from mixed race backgrounds suggests we have more in common than what makes us different. This requires a Manchester strategy alone to celebrate this, while acknowledging the threat that difference poses to some. In the words of Tony Walsh’s poem written after the Arena attack: “…if you’re looking for history then yes, we’ve a wealth. But the Manchester way is to make it yourself”. Firstly, I’d like to argue here that, while acknowledging there are many forms of extremism, training around the Government’s counter terrorism initiative Prevent must focus on a more robust understanding of the cultural and religious issues affecting Muslim young people. These are an important part of a preparedness and willingness to respond to students and to create the ‘safe space’ that Prevent requires. Secondly, there is a need for schools and colleges to respond to wider Islamophobia and race hatred to develop the confidence of students. This is a new generation of Mancunians born into a post 9/11 world. There is also the wider discrimination by perception of BAME (British. Black, Asian, and minority ethnic) young people of all faiths and none, who are targeted with suspicion and have lived through a rising number of racially and religiously motivated attacks in Greater Manchester. The government is yet to publish figures on the religion and ethnicity of those referred to Prevent. Might these reveal the extent of possible discrimination by perception? Prevent training is generally delivered through online modules, via Workshop to Raise Awareness of Prevent [WRAP] events run by Prevent Co-ordinators and possible follow up by institutional safeguarding staff. Whilst the counter-terror focus of WRAP allows the sharing of cases and events to support a localised response, training in colleges has been identified as ‘superficial’ and ‘inconsistent’ by Ofsted with policy interpretation resulting the Joint Parliamentary Select Committee on Human Rights finding it had become a ‘search for religious conservatism’. Busher et al  also argue that though schools and colleges identify broader forms of extremism, their policy response to Prevent has focused on Islamist extremism. Is there a real understanding of the ‘causes’ of radicalisation beyond a vulnerability? It is hard to predict who will engage in terrorism, with no causal connection between this and theological persuasion (Horgan and Braddock, 2012). Having a job that provides satisfaction, as well as a network of family and friends, may reduce the risk of radicalisation (Bhui et al, 2012) and this means both supporting young people to do their best and with their identity. A 2016 survey of British Muslims by Channel 4 suggested many see their identity primarily in Islam, yet regard violence as inappropriate. Are all our teachers aware of concepts such as Muslim concern for the wider Islamic community (the Ummah), and the diversity of practice within the faith? We must help teachers understand this prioritisation of faith and also that it might be problematic. We can perhaps follow the German model where teachers are trained in an understanding of Islam [Bryan, 2017]. Yet such initiatives and the teaching young people about different faiths is highly sensitive and may mean brokering and explaining such activity with parents who see this as a threat. The rise of support for Far Right groups such as National Action and Britain First is the result of a similarly perceived threat to identity. The Ajegbo report  was written in response to rising diversity in schools in the UK post 7/7. It outlined the need for schools to teach controversial topics such as immigration, as well as what author Keith Ajegbo called ‘dealing with difference’, identifying the need to engage white working-class pupils in this debate especially. As well as sowing the seeds of the British values that form part of Prevent, it identified the issue of inconsistency in the promotion of diversity in schools and acknowledged that some teachers feel unprepared and uncomfortable in dealing with this in class. Recent research supports this. Can teachers confidently discuss IS and right- wing narratives in class? How do they acknowledge bravado? Teachers are uncomfortable in discussing such conversations with students [Acik-Toprak, Deakin and Hindle, 2018] and feel unprepared to identify extremism and to challenge ideas. Teachers are asked to safeguard young people and to consider safeguarding themselves in the first instance. In the context of inquisitive and sensitive questioning by students, how ‘safe’ is the space that has been created? Are Muslim pupils ‘self censoring’ contributions? And how are schools ‘harnessing local context’ in the curriculum as Ajegbo suggested. Ajegbo’s findings support the challenging of extremist narratives quickly as they emerge; significant when Home Office data suggest the vast majority of those referred to Prevent are under the age of 20, yet only 5% receive specialist support. We need to focus more closely on the objectives of a new round of training for teachers. We must blow the dust off the Ajegbo report to begin a localised response to supporting schools to challenge intolerance and build the confidence of Muslim and white working-class pupils especially. The Home Office can lead by example and identify the religion and ethnicity of those referred to Prevent as a starting point. This helps ensure that our response to extremism is inclusive in of all of its forms and helps dispel fears there is some discrimination by perception of those from BME backgrounds in Prevent referrals. Ultimately, schools and colleges have a wider duty to promote good relations amongst pupils. It is this that presents our long-term hope of schools being better equipped to encourage greater inclusivity and tolerance. Ajegbo’s recommendations provide a good starting point to do so. 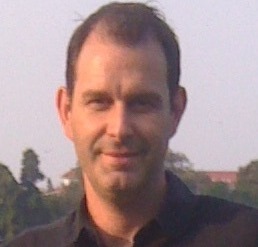 Bob Hindle is Lecturer in Education at Manchester Institute of Education at The University of Manchester. Having worked with diverse communities in previous roles as teacher and senior leader, around race equality, celebrating diversity and community cohesion, he has been involved in a number of national initiatives. Bob’s recent research has focused on the impact of the Prevent duty on radicalisation and extremism in colleges.